In this new release, Ubuntu further strays from the RedHat/SUSE/CentOS/Oracle school of software packaging by officially supporting an important new tool: Snap, a package manager. Ubuntu is based on Debian, and any Ubuntu/Debian/LinuxMint user has finger memory to use `apt-get’ and `wget’ to obtain and install software. Canonical would rather you source through them, using Snap. Snap can be used alongside the current Debian-friendly software package updating processes. It’s important to note that in order to install packages wrapped by Snap you’ll need an Ubuntu One account. You might remember when Ubuntu One had personal repository features that were closed, but as a store, Ubuntu One never closed and that’s where Snaps will be examined and downloaded. We tried it and decided that it’s an improvement worth using, if you can tolerate the sense of being tracked. The second major change is that Ubuntu now allows its installations to use supported ZFS and Ceph filing systems. Invented by Sun prior to its acquisition by Oracle, ZFS was, at the time, a visionary replacement to a number of journaling filing systems, like Andrews Filing System, NTFS. It was thought to be a potential replacement for the ext3, ext4, and Reiser filing systems. The idea was to prevent a number of maladies that caused systems failures, like power-interruptions during read/write processes, disk errors, storage cache errors, timing issues, and other disk and storage maladies. While Apple was rumored to be implementing ZFS, they didn’t, and the FreeBSD community picked up ZFS — the OpenSolaris version — and used the port successfully in many NAS versions. A Linux port of ZFS followed the BSD port, and has been around for a while. The inclusion into Ubuntu gives it a seal of approval. Ceph is a filing system of a different feather. Its first stable release coincides with the release of Ubuntu 16.04. What makes it different is that Ceph is not unlike software-based Reduced Array of Inexpensive Disks (RAID) as a software service and filing system. Ceph can store files and folders in the traditional desktop way, but Ceph can also store as a block device (e.g. arbitrary or standardized chunks of data) or data as objects — all of which are compatible with cloud computing. Ceph is a well-known member of various OpenStack cloud deployments, and Canonical’s deployment of OpenStack in turn, becomes a part of their services structure, somewhat rubbing competitively against initiatives by Red Hat. Canonical also offers Autopilot on its website, an OpenStack control mechanism with a free trial for up to 10 servers and $750 per server per year after that. Conceptually, this allows an analyst or developer to build the control mechanisms on VMware vSphere, using MaaS (Ubuntu’s Metal-as-a-Service server/instance distribution system) with OpenStack software devices/services, such as networking, storage, KVM compute in various configurations. This system is very simple to test for those familiar with VMware and or Linux Containers (LXC) and gives a flavor for OpenStack control to novices. It was trivial for us to deploy. Canonical will also build and deploy an OpenStack network via their BootStack service for just $15 per server per month including support. In a bare metal install, we were able to add Windows Server 2012 R2 Data Center Edition as an OpenStack-managed host, although recipes for this sort of hypervising aren’t easy to find. The proof of concept worked. What this speaks to is the sheer automation speed of compute, storage, and network build-out — and potentially low cost — of OpenStack managed resources. At this writing, Ubuntu leads in both AWS instances, and also those deployed with OpenStack overall as client instances. Ubuntu’s Unity desktop is the same old stuff, although it’s grown to a 1.49GB download. We found it inconvenient that the long list of download sources are not optimized for speed; we found Tor sources to be the fastest, and the Tor sources checksummed correctly. The Mir display server underpinnings designed to become a unified replacement for Unity’s XWindows substrate is, well, promised again for 16.10, due perhaps later this year. This apple of a user interface in Canonical’s eye has taken longer to bring to all devices than was originally planned. Although there are many under-the-hood changes, we find none particularly notable. Things that make us growl: The Desktop is missing Mir. It’s also missing initial hard password enforcement. You can still boot to a desktop that’s free and open with no password. There is no install-time SAML authentication or secondary or OAuth provider to immediately proxy users safely to an SSO provider, although there is an http proxy available at installation. Tablet versions of Ubuntu are rarer to find. BQ, an integrator/OEM of Ubuntu on tablets sells them mainly in the EU market. We were unable to put our hands on one for purposes of this review. The same problem exists for Ubuntu Phone. Cloud images for download were found in multiple packaging formats for 16.04, if you like i386 and x64 processor families, and most do. These images are ready to download, or can be spun up in numerous clouds. Server images have a comparatively greater choice of processor families: x86, x86-64, ARM v7, ARM64, POWER8 and IBM s390x (LinuxONE) are available for download. 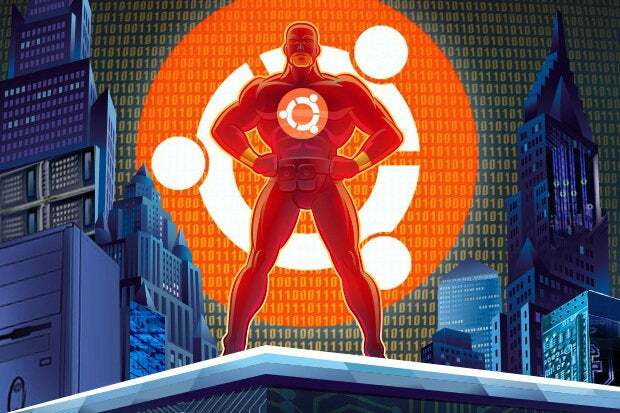 Canonical has taken Ubuntu to a very strong position, and now incrementally adds features that end up sanctioning — through its support — features that others might have not considered to be ready for production use. ZFS and Ceph are sophisticated filing systems, and they take up more CPU for casual use, and offer broadly sophisticated architectural possibilities, now also joined to OpenStack and Ubuntu’s JuJu advocacy as rapid platform construction tools. JuJu construction kits are now available for a number of systems platform, ranging from simple WordPress to big/fat data analysis kits. While these don’t necessarily rival Docker container farms, they can almost as easily be used as Docker, rkt, and other management substrates in prototyping. For now, using AutoPilot and OpenStack is the supported choice, and Canonical takes the nexus of making things work upon themselves, just as Red Hat must make its supported kit work. We expect Ubuntu’s popularity to continue unabated, but there isn’t anything magnificent in the 16.04 release, except continuing breadth with depth. We downloaded and used Ubuntu 16.04 x64 cloud, server, and desktop versions, then deployed them mostly as VMs, excepting two tests. We also tested 16.04 on AWS. The cloud versions were used on local hardware using AutoPilot, Juju, and OpenStack in the lab on an HP Microserver Gen8 (i3 chipset, 8GB of memory, 1.5TB of disk, twin Gigabit Ethernet ports) testing Ubuntu and Windows 2012 R2 as VM instances. We also deployed 16.04 server and desktop on the following platforms in our network operations center: VMware ESXi 5.1, 5.5, and 6.0, as well as Hyper-V 3.1, and XenServer 6.5.0. Additionally, we installed 16.04 desktop and server versions as virtual machines under Parallels for Mac 11. We noted that little has changed from a deployment context from the last LTS version, 14.04, and scripts for 14.04 work with 16.04 in terms of PxE and Ubuntu’s Metal-as-a-Service — now enhanced by the OpenStack management plane. The versions are interchangeable for one-off install scripts, such as PxE loads. The NOC is powered by HP Gen8 and Gen9 servers, a Lenovo multi-core server, and a Dell 730xd multicore server, all connected via Extreme Summit Series 10GBE switches to Expedient Data Center’s core network in Indianapolis.